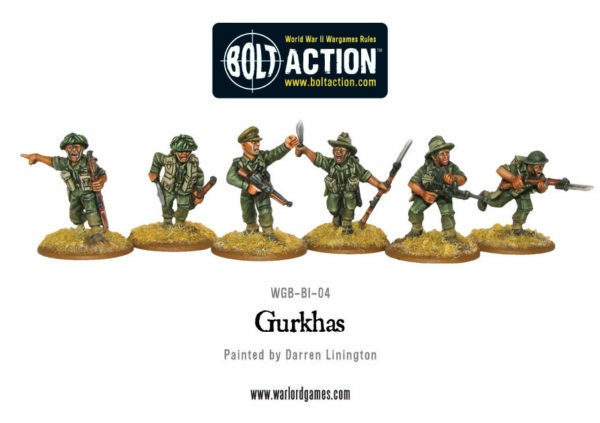 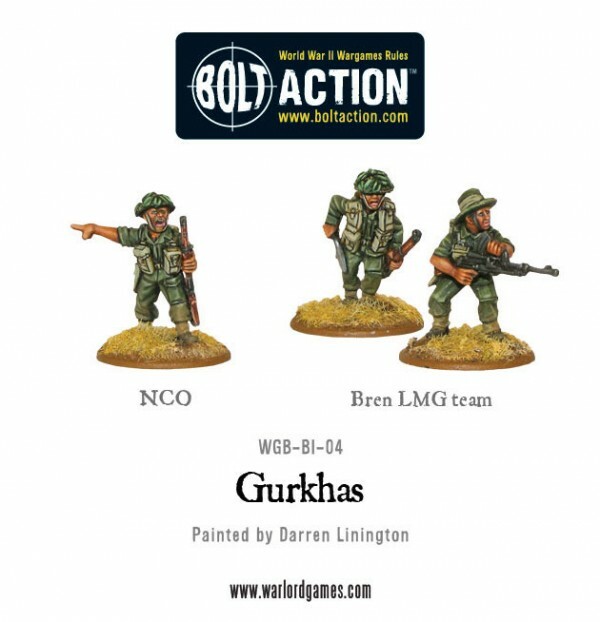 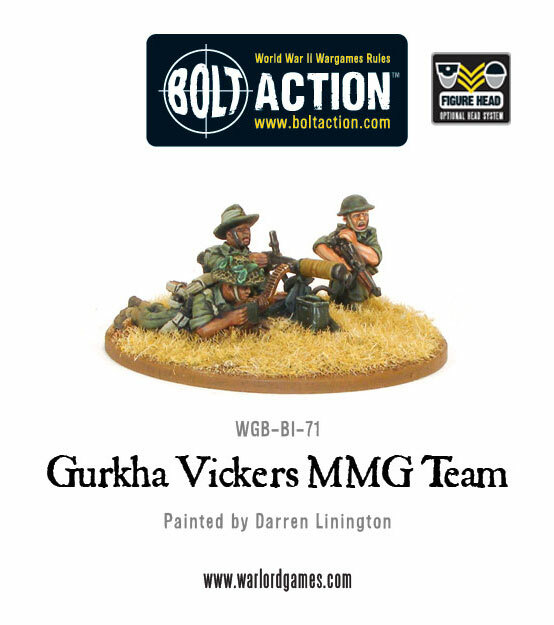 While the fearless Gurkhas charge the enemy weilding their kukri knives the Vickers MMG can lay down a withering hail of covering fire (more pics in store). 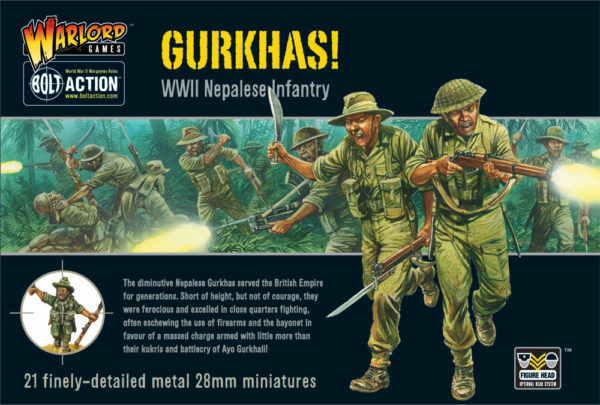 The Gurkhas boxed set contains 21 metal miniatures, sculpted by Paul Hicks: Major James Lumley and two attendant riflemen, a section of ten Gurkhas in firing poses, and a section of eight Gurkhas in charging poses– a mix of bayonet and kukri knife to see off the enemy! 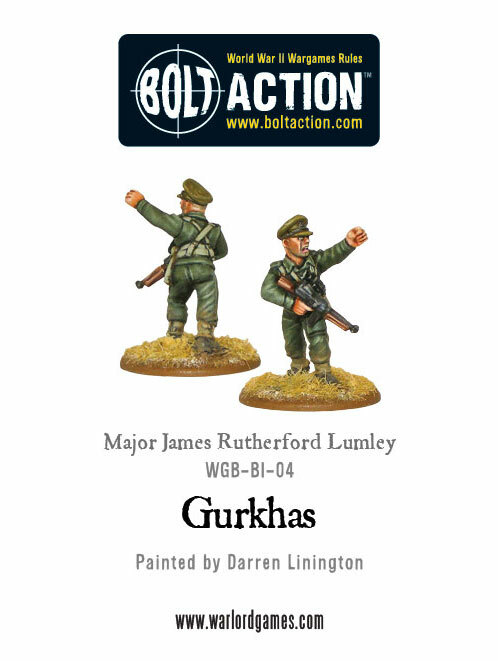 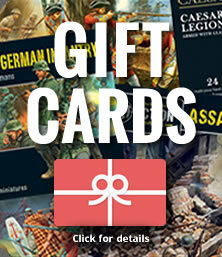 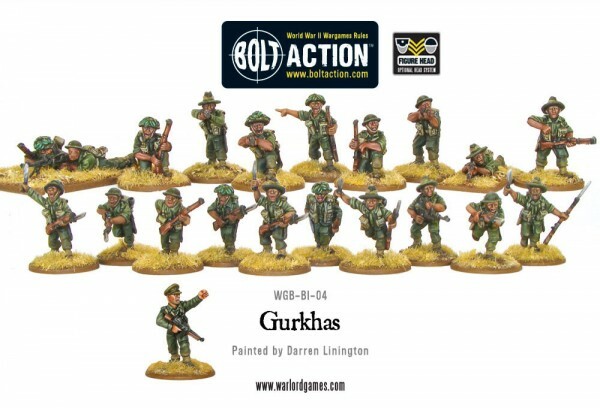 The boxed set is led by Major James Rutherford Lumley (father of British actress and Gurkha welfare activist, Joanna Lumley), who was in the thick of the fighting at the battle for Mogaung in northern Burma in June 1944, one of the fiercest and most brutal in the entire campaign against the Japanese in the Far East.